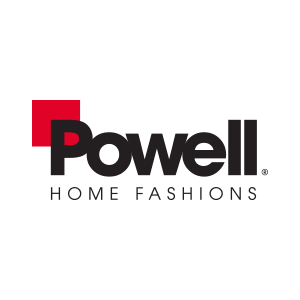 Powell Company designs, imports and distributes youth, occasional, dining and accent furniture across all style categories for retailers around the world. The company has 40 years of experience in offshore sourcing focused on quality control, craftsmanship, finishing and timely delivery. Powell Company designs and distributes youth, occasional, dining and accent furniture across all style categories for retailers. The company has 40 years of experience focused on quality control, craftsmanship and finishing. 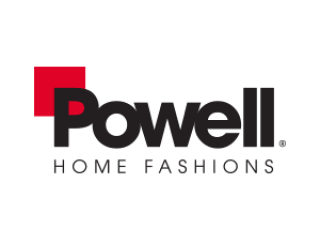 Powell is a full-service home furnishings provider through its Powell Kids and Powell Home Fashions divisions. Our products have earned a number of important awards for design, function and style. You can buy Powell with confidence, knowing that you’re investing in over 40 years of manufacturing excellence and experience. From the classic handmade to reversible flat weaves, Powell’s Rug Collection is inspired by today’s color and style trends from bold geometrics to understated florals and timeless traditions. We have revisited our designs to bring an all-encompassing selection that is sure to fit all of your floor covering needs. Our rugs are designed for every décor and perfect for today’s home. We have worked extensively with new fibers and constructions to bring you style and textures you deserve. The collection is filled with wools, polyesters, and polypropylenes that are developed in hand tufted, woven, and power loomed constructions to bring the designs to life. The floor is the key to complete a room and our quality, style, color and design offer solutions for every room in your home.